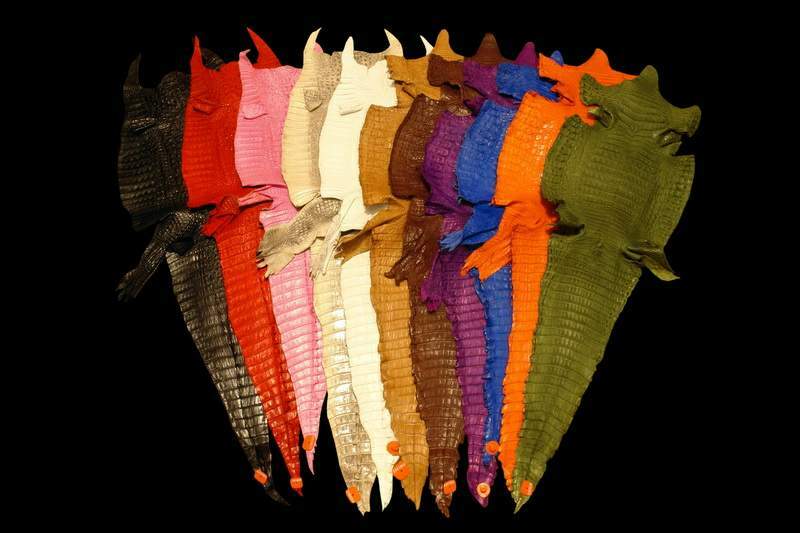 Exotic Skins with CITES Documents - Crocodile, Alligator, Caiman, Python, Lizard etc. Only premium leather top quality. 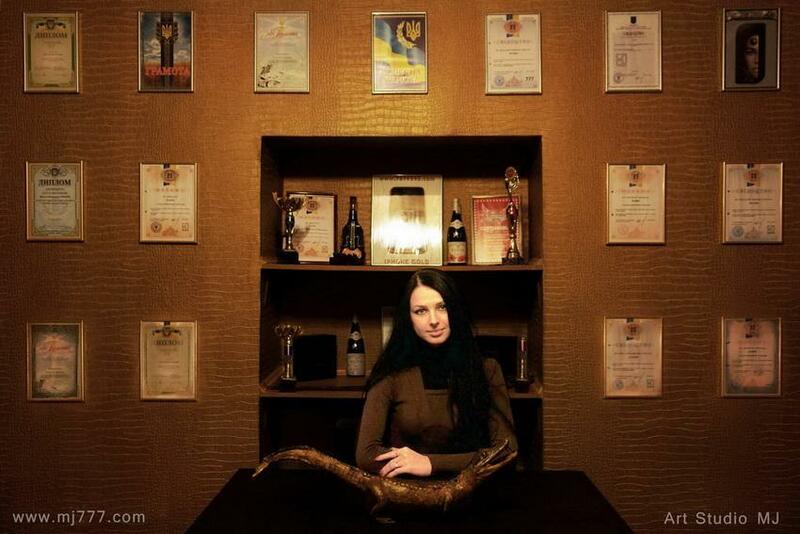 Tuning and tailoring of any products made ​​of genuine leather and fur. 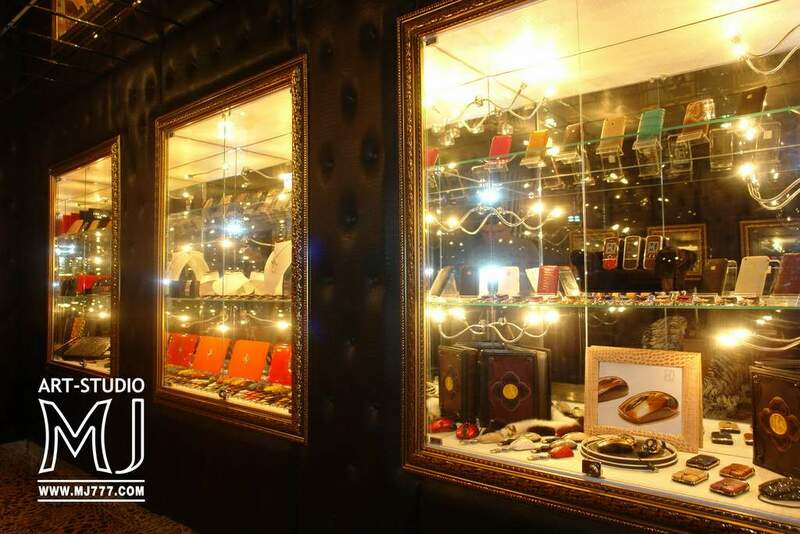 All exclusive materials used for customization and production accessories with international certificates and documents. All the newest precious metal alloys, unique kinds of jewelry and other innovation technology patented by MJ. 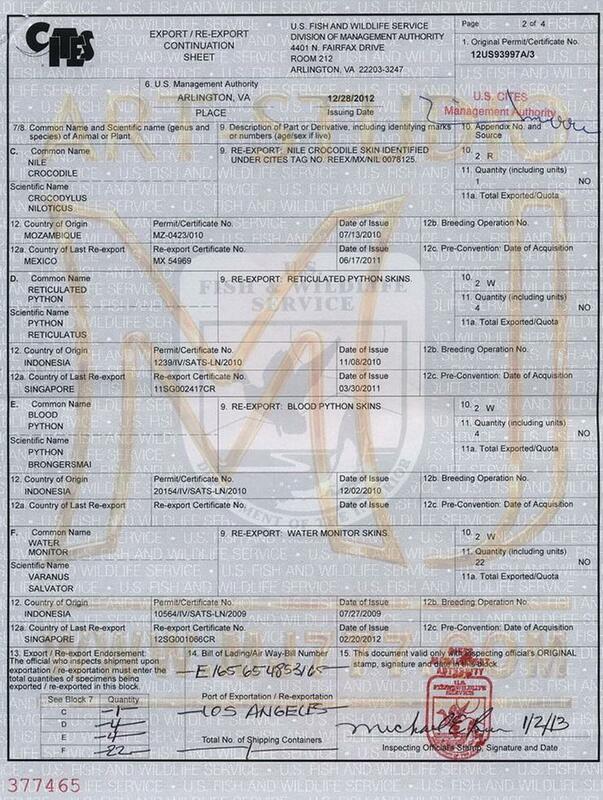 MJ Show Room - Diplomas, certificates, declarations, patents, certificates, awards, and other documents. 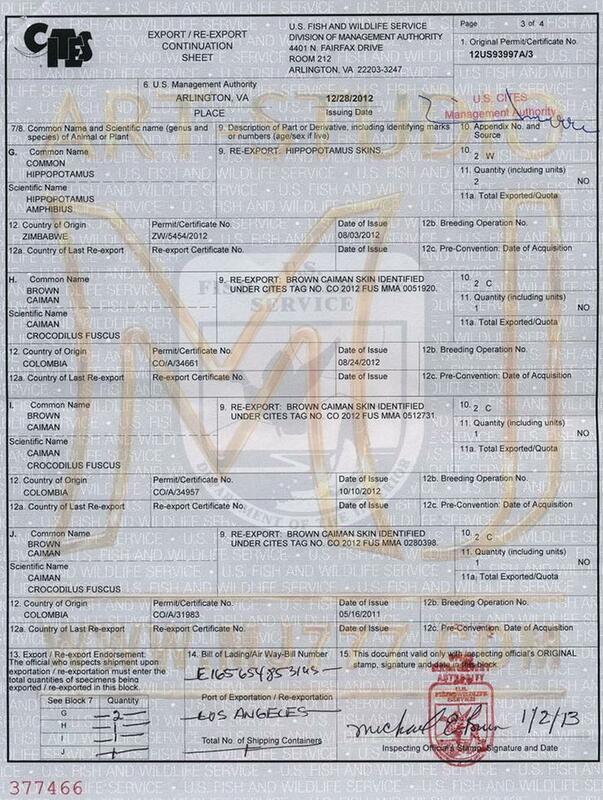 CITES Export Permit, US Fish & Wild Life Declaration for Importation or Exportation. 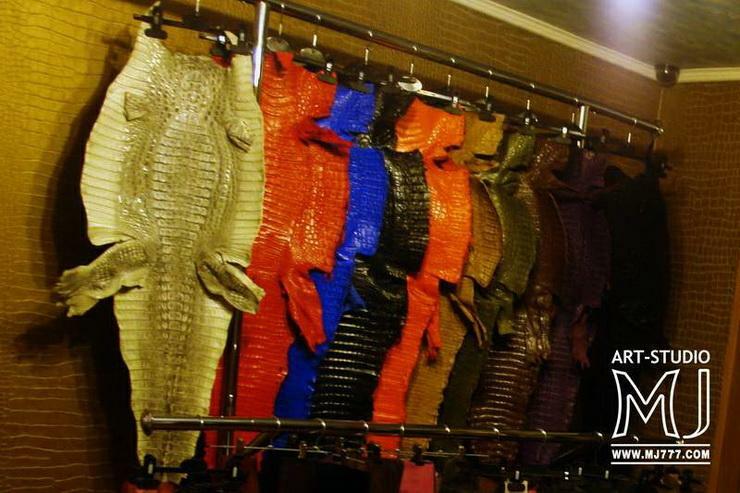 Export Permit - Crocodylus Niloticus, Reticulated Blood Python, Varanus Water Monitor Lizard etc. 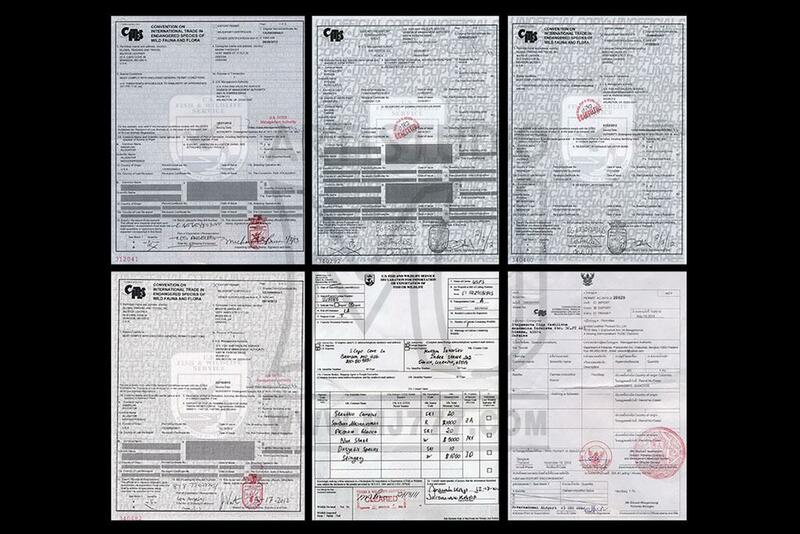 Export Permit - Hippopotamus Amphibius Zimbabwe, Brown Caiman Crocodilus Fuscus Columbia, etc. 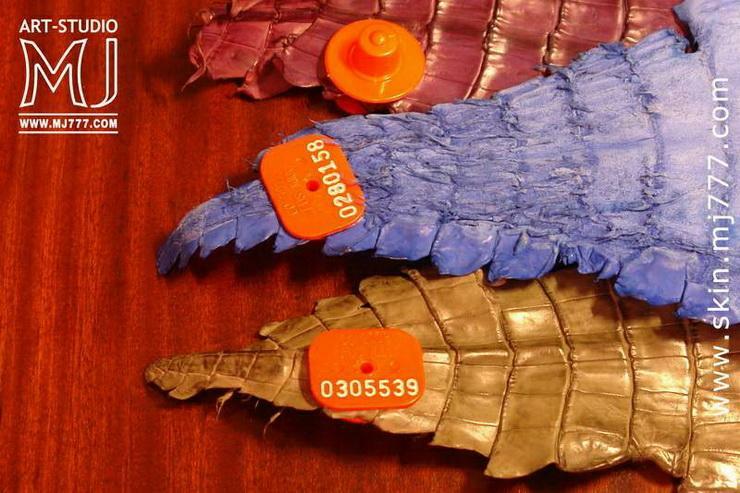 Caiman Skins with CITES - sealed up tags with individual numbers. 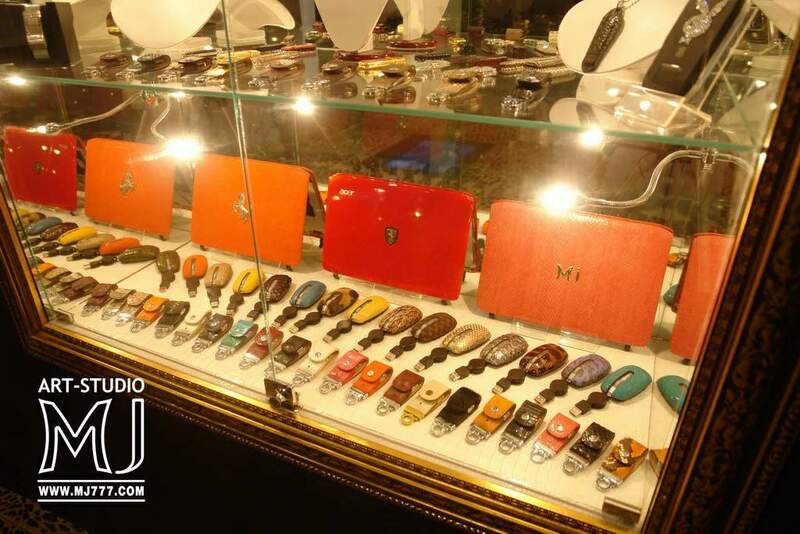 MJ Show Room Exotic Leather. CITES Skins Gallery. 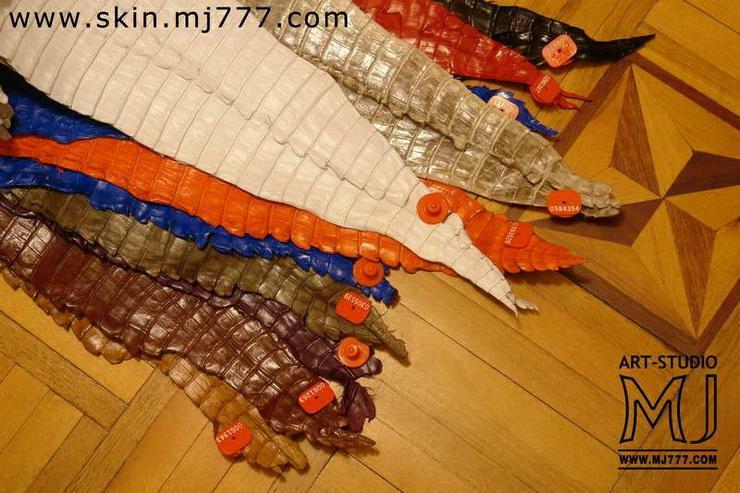 Caiman Skins with CITES - Each skin is attached seal with an individual number. 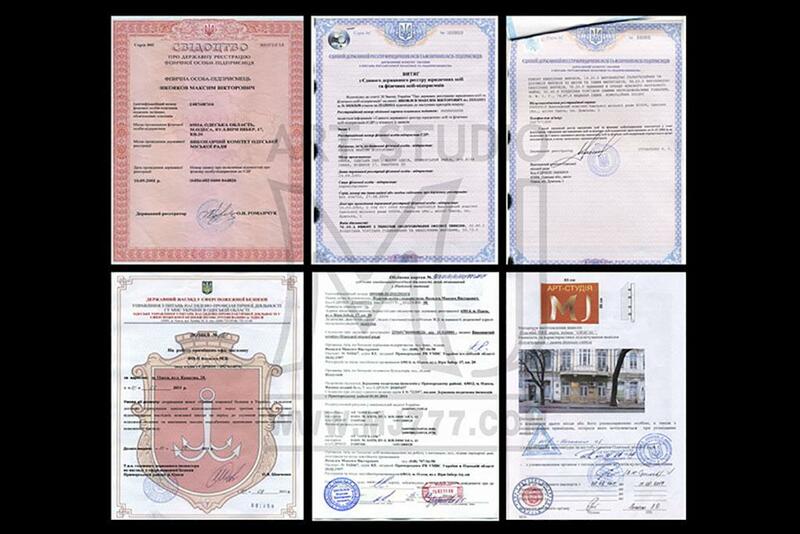 Certificates, registrations, patents, licenses, accreditation, permits, etc. 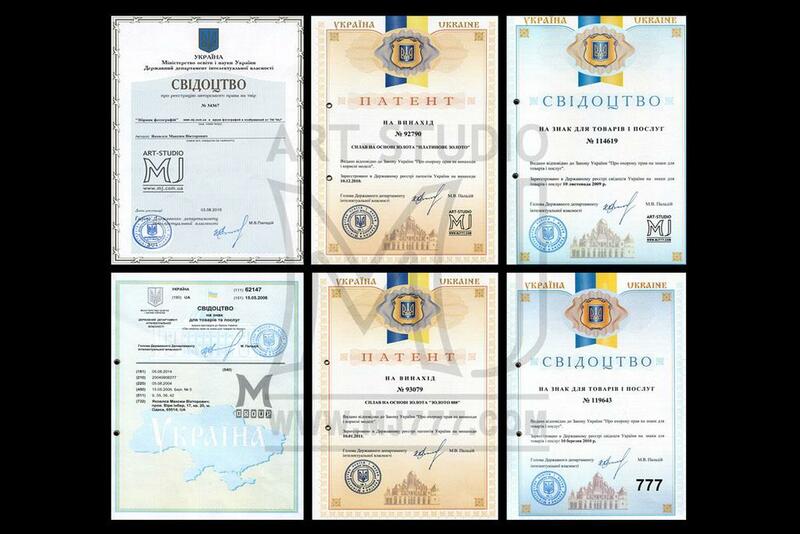 Certificates, patents, inventions, utility models and other documents about MJ, 777 Trade Mark & M Group. 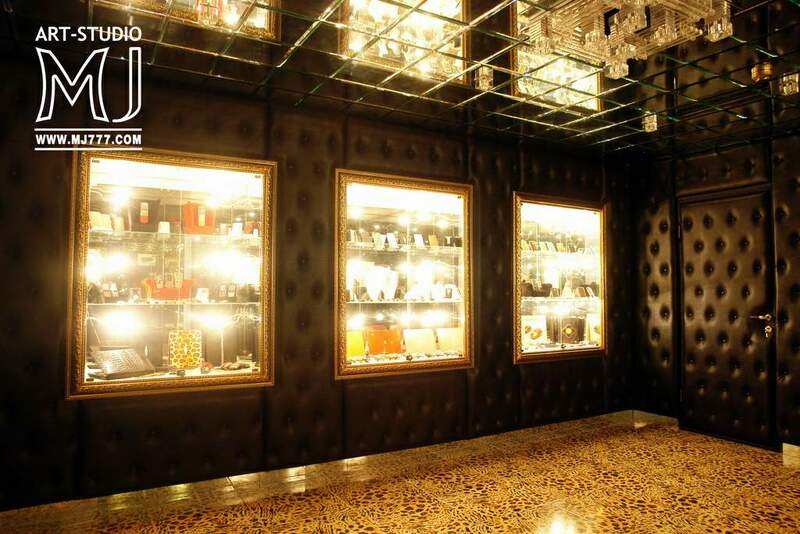 MJ Luxury Office for VIP Clients. All products are made only for individual orders. 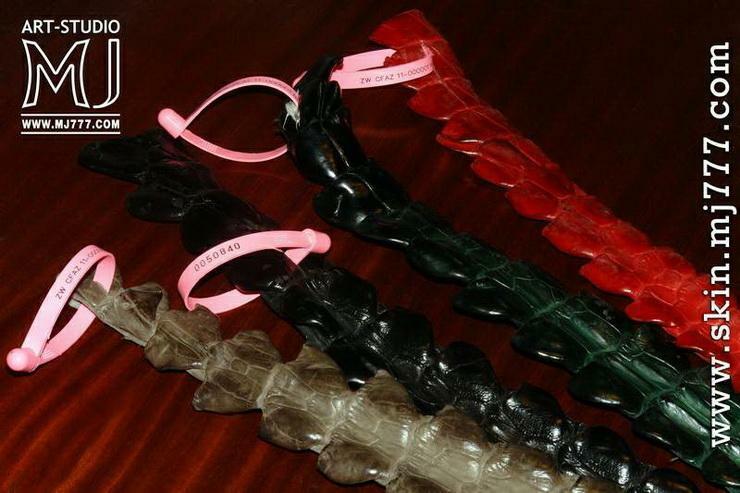 Most of the unique species of exotic skin is presented in a single copy. 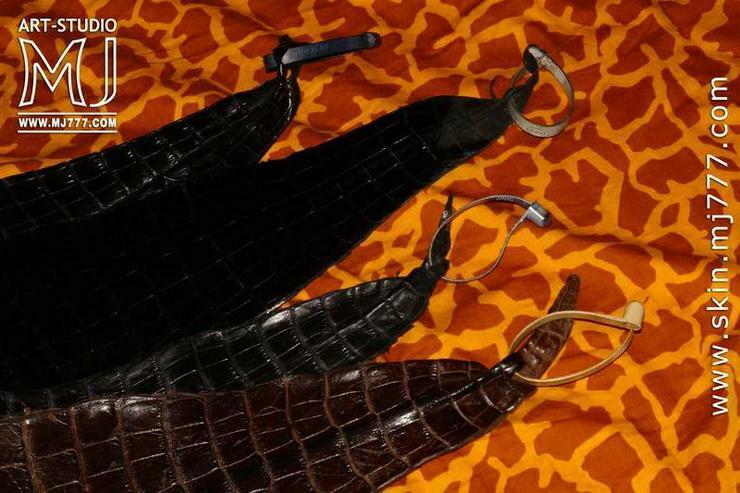 Genuine leather and fur - crocodile, alligator, caiman, ghavial, lizard, iguana, ostrich, kangaroo, snake, cobra, karung, sea snake, anaconda, boa constrictor, russell viper, rainbow snake, monitor lizard, teju lizard, elephant, hippopotamus, fish, giant gourami, nile tilapia, pescada amarela amazon fish, red fish piraruku, white sharks, sand sharks, whales, sturgeon, trout, brazil salmon, carp, conger eel, moray eels, frogs, indo bullfrog, common toads, monoclead cobra naja, indian cobra, mask water snake, salt water snake cerberus, beaver's tail, cow tripe tuarus, striped racer, stink rat snake, narrow banded krait, caiman yakare, latirostris, fuscus, crocodylus siamensis, nile, porosus, pangolin, asian wild pig, picard, american chicken, sheep, buffalo, bison, calf, deer, rhinoceros, capybara, mink, pony, fox, wolf, llama, fox , leopard, cheetah, bear, panther, ocelot, lion, fox, beaver, skunk, doodle, giraffe, rabbit, rex, zebras, sea lions, seals, wild boar, wolverine, orilag, sable and other exotic species from MJ. As well as the classic leather and other luxurious materials for yachts and expensive cars - alcantara, nappa, dynamics, aquamarine, and others exclusive hides and materials. 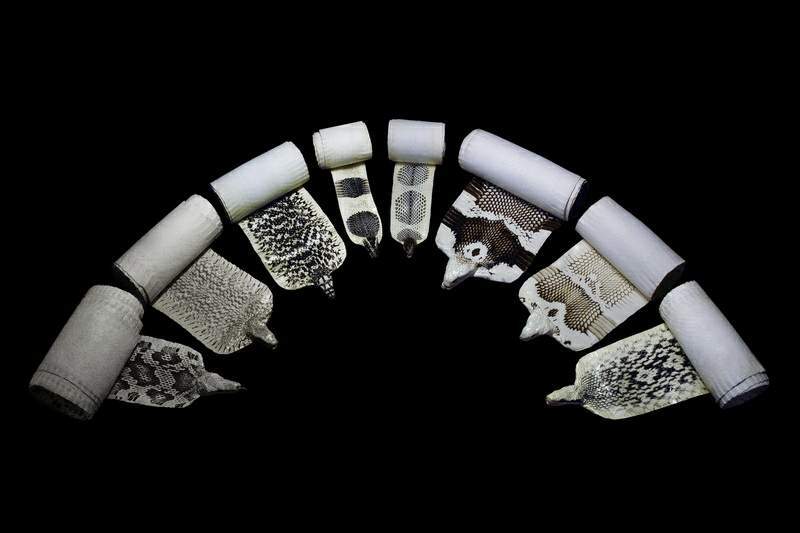 The range of Art Studio MJ presented more than 5,000 species of fur and leather in different colors and textures. Haberdashery leather, garment leather for apparel, interior leather etc. In stock and on order all the colors of all types of classic leather and skins CITES auction certified made in Italy, France, Germany, Spain, USA, Canada, Burma, Brazil, Thailand, Vietnam, Indonesia, Tunisia, Morocco, Turkey, Russian Federation, China, Australia, Argentina, Colombia, Paraguay, South Africa, India, Cuba and other international certification of CITES & US FISH & WILDLIFE.